• Cook the bacon in a large, deep skillet over medium-high heat until evenly browned, about 10 minutes. • Drain the bacon slices on a paper towel-lined plate. 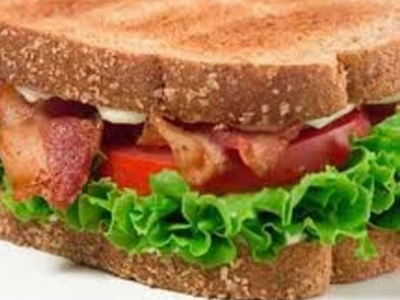 • Arrange the cooked bacon, lettuce, and tomato slices on one slice of bread. • Spread one side of remaining bread slice with the mayonnaise. • Bring the two pieces together to make a sandwich.